Dutch NGOs reassured that they would continue their support to Bangladesh for achieving the sustainable development goal. 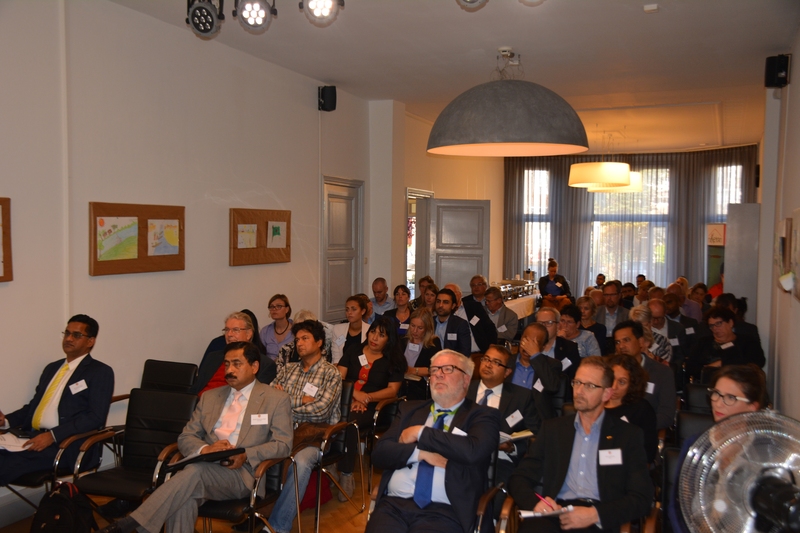 The Embassy of Bangladesh in The Hague, with support from Niketan (a Dutch NGO) hosted a seminar titled “Bangladesh NGO network and friendship meeting: Towards a dynamic Bangladesh” on 22 Sept 2017 at the Embassy premises. Around 50 representatives from more than 35 Dutch NGOs of different sizes, who are active in Bangladesh, participated in the meeting. Relevant official of the Ministry of Foreign Affairs was also present. Ambassador Sheikh Mohammed Belal opened the meeting with a key note speech. He highlighted child marriage, woman empowerment, income inequality etc. And urged NGO support in achieving the SDGs. He termed the SDGs to be challenging for a country like Bangladesh, which needs international support for achieving the ambition. He called for multi-stakeholder approach for inclusive development and stressed on mobilizing domestic and international resources to achieve SDG. 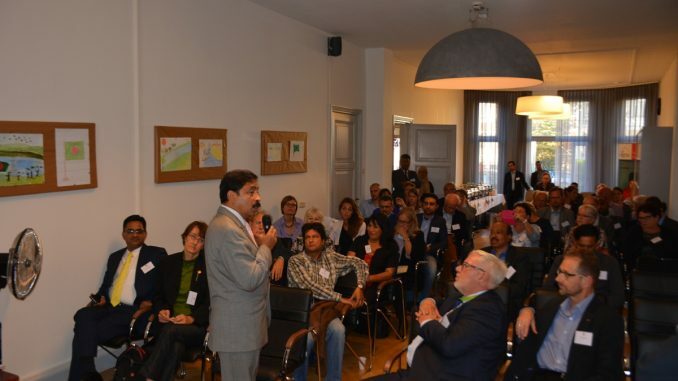 Highlighting the development spree going on in Bangladesh, Ambassador Belal, urged the Dutch NGO’s to be part of it. He also explained Government’s initiatives like developing special economic zones for the foreign investors with all facilities. Finally he briefed the audience latest on Rohingya issue and called for moral support. 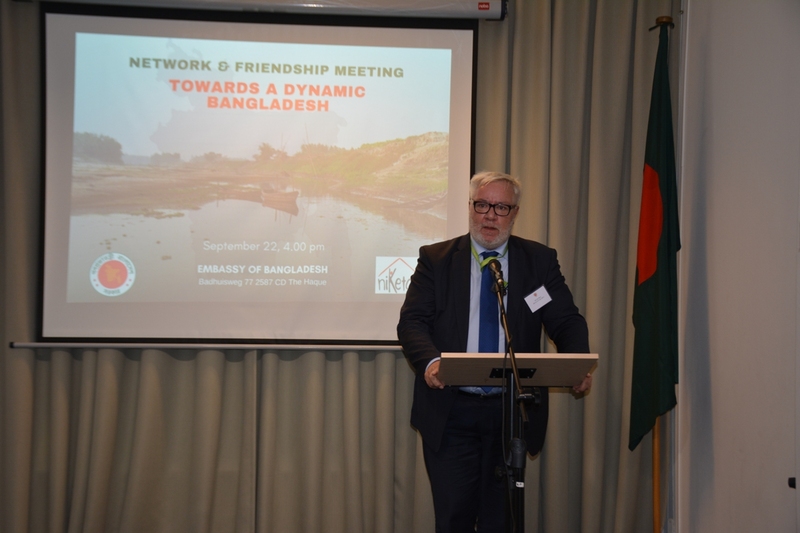 Senior Policy Officer of the Ministry of Foreign Affairs Mr. Jan de Boer welcomed the initiative of Bangladesh Embassy. The former First Secretary of the Dutch Embassy in Dhaka, Mrs. Ella de Voogt stressed on better coordination of Dutch development organizations in Bangladesh. 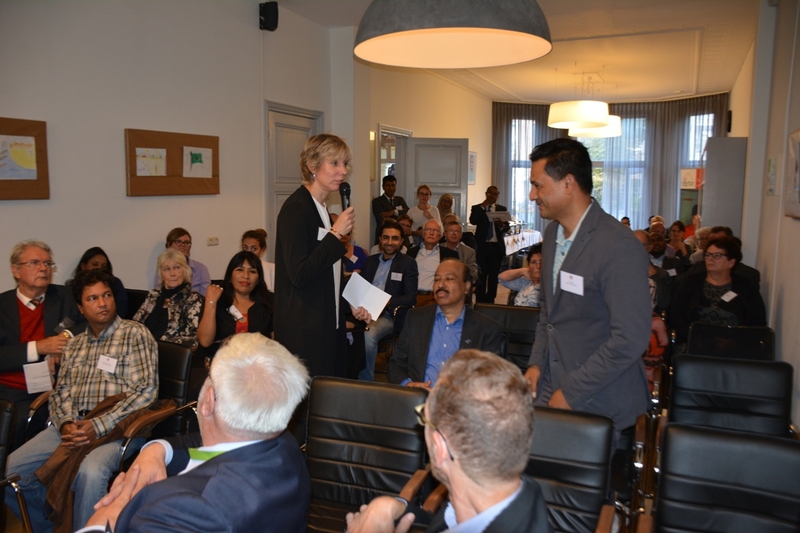 In the face of Dutch policy shift from aid to trade for Bangladesh she advised all to wait for the new government to be formed in the Netherlands and new foreign trade and development cooperation minister to take over. 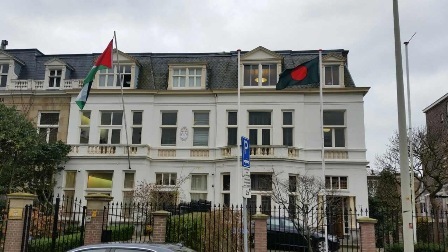 From the Dutch Embassy in Dhaka, she acknowledged to have a very good relations with the Bangladesh Government and assured the NGOs to support them in liaising with the Government Agencies. Later Ms. Astrid Frey, board member of Niketan conducted the plenary session in the meeting, where the participants were invited to talk about the success they achieved and the contribution they made. The NGOs also talked about the opportunities and challenges in Bangladesh. Diaspora development organization BASUG representative Bikash Barua Chowdhury stated that they have built awareness among the migrant workers to send remittance through banking channel. From JW Support/Golpata Ecotours Joke Wittekok has explained her organization’s work in supporting orphans in continuing education and finding out employment. Maarten from Diva Worldwide shared the story how he opened a production house in Dhaka to develop online contents by the young ICT professionals of Bangladesh. Maarten welcomes women developer participation in his expanding project. The Hunger project representative Catelin shared their activities in the fields of child marriage and leadership development where women volunteers are heavily involved. Save the Children representative Mahua talked about their activities in child rights governance and financial inclusion. J.U Litton from Bouwen aan Bangladesh shared his experience in working in children education and disaster management. He also said that now they are working to support the Rohingya refugees in Bangladesh. Mr. Saidul from Stichting Jongerenhulp said that they wish to work with senior citizens in Bangladesh. Sylvia Ortega of Wild Geese Foundation informed that her organization fights poverty in Bangladesh by providing financial support, knowledge and expertise to suitable projects. Judith De Bruijne of Blue Gold Program briefed on their activities in Bangladesh. The participant NGOs highly appreciated the initiative of the Embassy in building bridge between the Government and the development partners. All of them termed Bangladesh as a very friendly country for the foreign NGOs. They termed Bangladesh ‘a land of opportunities’ owing to its young and energetic people. 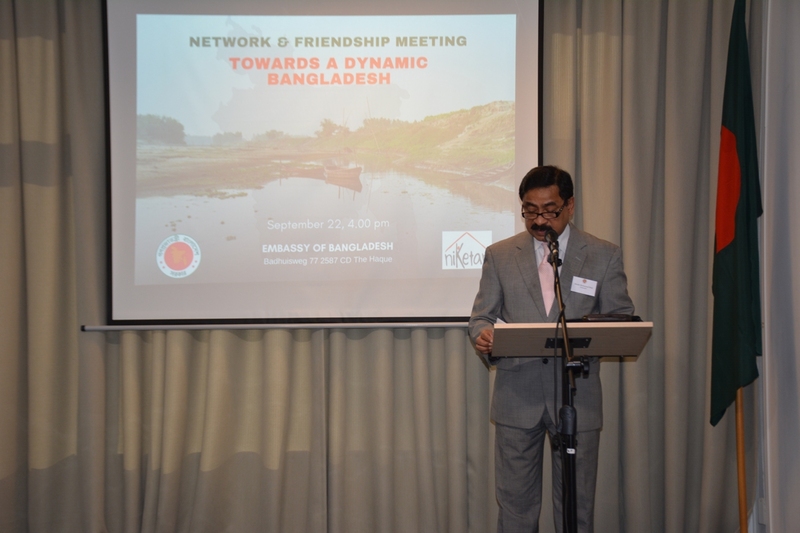 As a finishing remarks Ambassador Belal urged to all for introducing the best practices of the Netherlands in Bangladesh especially in agriculture. He also requested support from all concern for implementation of Delta Plan 2100, the flagship Dutch Bangla Project. The meeting was moderated by Istiaque Ahmed, First Secretary of the Embassy. Embassy has the plan to host this kind of meeting at least once a year.